This section explores the current status of the implementation of BIM as it occurs throughout the world and with that, we’ll be making a tour of the various countries that have already adopted strategies for the use of BIM systems. The following is broad view of the international context of the use of BIM and aims to highlight the importance of introducing BIM everywhere in the world, not only because there is global demand for it, but soon, there will be localised demand for it, both in the public and private sectors. United Kingdom: The economic crisis forced the UK government to develop new strategies to control construction costs. In 2011 a treaty was formed and a collaborative 3D BIM 2016 (Level 2) was published. The UK government has also published the AEC (UK) BIM Protocol and the Government Construction Strategy. In June 2011 the UK government published its BIM strategy, announcing its intention to require collaborative 3D BIM (with all project and asset information, documentation and data being electronic) on its projects by 2016. Initially, compliance will require building data to be delivered in a vendor-neutral ‘COBie‘ format, thus overcoming the limited interoperability of BIM software suites available on the market. The UK Government BIM Task Group is leading the government’s BIM programme and requirements,] including a free-to-use set of UK standards and tools that define ‘level 2 BIM’. In April 2016, the UK Government published a new central web portal as a point of reference for the industry for BIM Level 2. In 2010, the German government conducted a study, called ‘BIM – Potentials and Barriers’, in which the current status of BIM in the country, as well as its benefits and challenges, were investigated. By 2017, all projects in Germany exceeding 100M Euro must make use of BIM processes. In December 2015, the German minister for transport Alexander Dobrindt announced a timetable for the introduction of mandatory BIM for German road and rail projects from the end of 2020. Speaking in April 2016, he said digital design and construction must become standard for construction projects in Germany, with Germany two to three years behind The Netherlands and the UK in aspects of implementing BIM. In February 2016, Infrastructure Australia recommended: “Governments should make the use of Building Information Modelling (BIM) mandatory for the design of large-scale complex infrastructure projects. In support of a mandatory rollout, the Australian Government should commission the Australasian Procurement and Construction Council, working with industry, to develop appropriate guidance around the adoption and use of BIM; and common standards and protocols to be applied when using BIM.”NATSPEC is an Australian not-for-profit organisation whose objective is to improve the construction quality and productivity of the built environment through leadership of information. It is impartial and is not involved in advocacy or policy development. Canada: Canada is one of the world’s most active countries in the implementation of BIM systems through the Institute for BIM in Canada (IBC) and Canada BIM Council (CanBIM) organisations, which are active in creating protocols and standards, and promoting collaborative work. Several organizations support BIM adoption and implementation in Canada: the Canada BIM Council (CANBIM), the Institute for BIM in Canada and buildingSMART Canada. Founded in December 2008, CANBIM is a consensus- and committee-driven organization for BIM in Canada developed by business leaders to standardize the use of models in architecture, engineering and construction. CanBIM has close to 100 architectural, engineering, contracting and trade firms, and is managed by industry volunteers, hosting events across Canada. Members fund and direct the priorities and activities through eight discipline focused committees. buildingSMART Canada, the Canadian chapter of buildingSMART International, works in partnership with all Canadian AECOO community stakeholders including Canadian associations of architects, engineers, specification writers, contractors as well as public and private owners, government and industry. It creates standards and supports programmes and tools to ensure that Canada will be successful in its movement towards a better built environment supported through open and internationally compatible standards for BIM. China: Although the use of BIM in China is not yet mandatory, the country is developing its first National BIM Guidelines series. One of the main objectives of the Chinese government is to reduce environmental costs and promote efficiency in the industry, particularly in the construction sector. BIM is thus seen as one of the main tools with which to address these issues of sustainability, such that the Ministry of Housing and Urban-Rural Development has already asked several companies developing BIM standards, objectives and classifications to help in launching a government initiative according to the needs of the country. The Chinese government subsidises companies around the country that adopt BIM systems in their daily processes. Denmark: Between 2003 and 2006, the Danish government initiative, called ‘Will to Grow’ helped to invest 2.5M Euro in education, productivity and software licenses. A year later, in 2007, any project over 1M Euro was presented with digital tools for implementation. In 2011 the Danish government presented its first manifesto that required that any project that exceeded 2.7M Euro and any public project that exceeded 677 000 Euro was to make use of BIM. Spain: The Spanish association, building SMART Chapter, launched the BIM Guide, which is the first Spanish guide on BIM protocols open to all interested professionals, in 2014. This formed part of an initiative to standardise the use of BIM in the Spanish-speaking construction sector, aiding in the effective development and implementation of standards in this sector. 2017 is the set date for publishing the first IFC standards, guides, classifications and delivery processes using digital models throughout a project’s life cycle. 2020 is the year targeted for any private and public infrastructure projects in all phases (design, construction and operation – maintenance and facilities management), whether new or retrofitted, to make use of BIM. Hong Kong: The roadmap for BIM implementation in Hong Kong was developed in 2014 by buildingSMART Hong Kong, HKIBIM, Construction Industry Council (CIC) and several companies from different sectors. Its objectives are the BIM model, information and workflows. Iceland: Government Construction Contracting Agency (GCCA), Reykjavik Energy, the Innovation Centre of Iceland and The Division of Planning and Construction of Reykjavik City, conducted a project between 2008 and 2011, called BIM-Iceland, which studied relations between public agents, and helped improve quality in the design and construction of public projects, and reduce costs throughout the life cycle of buildings. In 2012, the BIM Handbook was published, and although the GCCA has not yet declared the use of BIM as compulsory, Iceland is at the forefront of BIM implementation. Norway: Statsbygg is a government agency that has used BIM for all its public projects since 2010. Its BIM Manual 1.2.1 was published in 2011 and was last updated in 2013. It is also available in English. Statsbygg undertakes to deliver the BIM models in IFC format to any agent in the life cycle of a building, including clients, project managers, construction companies, architectural firms, etc. New Zealand: In 2012, the government of New Zealand published the Building and Construction Productivity Initiative Partnership with the aim of increasing productivity in the construction sector by 20% in 2020. The adoption of BIM was defined as a tool with which to achieve the goals of the project. BIM and has already published the English version of the BIM Standards of the Netherlands. This document defines the specifications of contracts in BIM and required documentation of projects. The final version was published in February of 2013. Singapore: The Building and Construction Authority (BCA) has announced that BIM would be introduced for architectural submission (by 2013), structural and M&E submissions (by 2014) and eventually for plan submissions of all projects with gross floor area of more than 5,000 square metres by 2015. 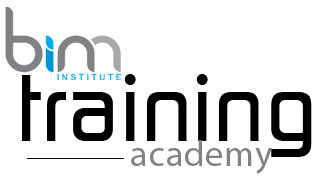 The BCA Academy is training students in BIM. Alongside the UK, Singapore is considered to be one of the most active and entrepreneurial in the global BIM environment. The Building Construction Authority of Singapore (BCA) is a government initiative for the use of design processes based on models. The BCA published a roadmap in 2015, which drives the adoption of BIM in the construction sector. In 2012, the BCA also published the Singapore BIM Guide, which was updated in 2013, together with BIM Particular Conditions V2, which defines the legal responsibilities of each of the participants of a construction project. In India BIM is also known as VDC: virtual design and construction. India is an emerging market with an expanding construction market and huge potential for large scale residential and commercial development (because of population and economic growth). It has many qualified, trained and experienced BIM professionals who are implementing this technology in Indian construction projects and also assisting teams in the USA, Australia, UK, middle east, Singapore and North Africa to design and deliver construction projects using BIM. In spite of this, and India’s vibrant building sector, BIM usage was reported by only 22% of respondents to a 2014 survey. Although the concept of BIM and relevant processes are being explored by contractors, architects and developers alike, the term itself has been questioned and debated with alternatives including Virtual Building Environment (VBE) and virtual design and construction (VDC) also considered. The American Institute of Architects has defined BIM as “a model-based technology linked with a database of project information”] and this reflects the general reliance on database technology as the foundation. In the future, structured text documents such as specifications may be able to be searched and linked to regional, national, and international standards.